The Call for Proposals for the 2018 Annual Conference closed August 15, 2017. Please note that the Call for Proposals deadline for the 2019 conference will be May 15, 2018! 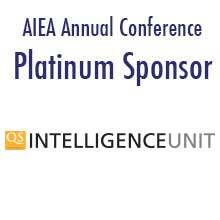 AIEA invites the submission of proposals for its 2018 conference at the Washington Marriott Wardman Park in Washington, D.C. Pre-conference workshops will be held February 18-19. The conference will begin in the afternoon of February 19 and end in the afternoon of February 21. Panels are 60 minutes long and may include a maximum of 3 presenters (either a presenting chair and up to two other presenters; or a non-presenting chair and up to three other presenters). A minimum of 30 minutes of interactive dialogue with session attendees is required. Feedback from previous AIEA conference attendees has shown that the most successful sessions are those that exhibit the spirit of genuine and collegial discussion and exchange of ideas. NOTE: The 2018 Annual Conference uses a new collection site for the call for proposal process. Please do not hesitate to use the “support” button at the top left on the collection site for any technical questions. This “support” link will be the quickest and most efficient way to resolve technical issues. You may also refer to this step-by-step page with detailed instructions. No, due to the complexities in conference scheduling, AIEA is unfortunately unable to accommodate specific requests for session scheduling. Sessions will be scheduled between noon on Monday, February 19 and noon on Wednesday, February 21. Please make sure you and your co-presenters/facilitators are available during this time frame. If selected, session chairs will be notified of the session date and time by December. There is a limit of one started/incomplete submission allowed at one time for this submission form. When you complete an incomplete submission, you will be allowed to begin a new submission.